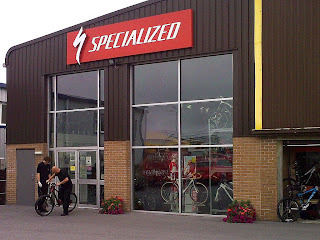 Today I went to the Specialized Concept Store in Plymouth. Funnily enough, it's not actually in Plymouth, it's in Saltash in Cornwall. As a cycling obsessive and an owner of a Specialized mountain bike, I was really excited to be going there. The store is not owned or run by Specialized. Instead it's a franchise run by a company called Certini. The store is a flagship store so has every model on show and every variant. 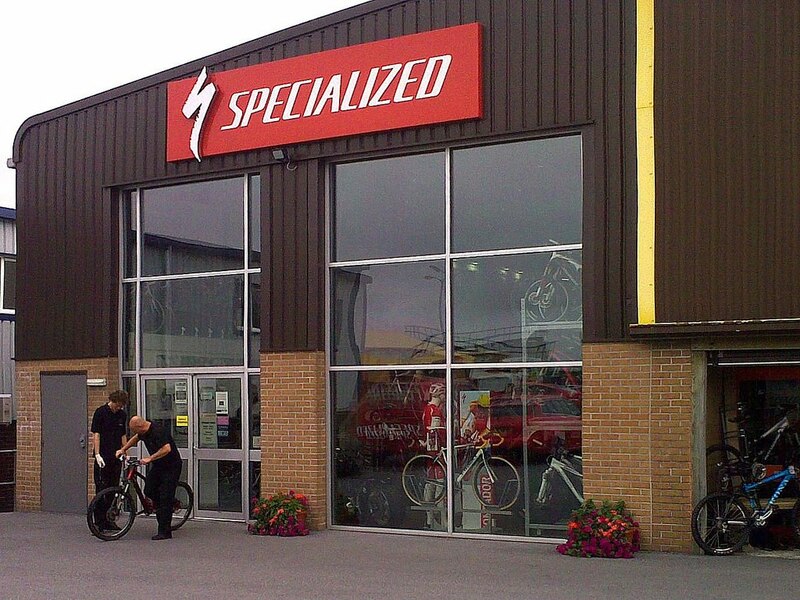 They carry every Specialized product and a selection of other brands so they have a complete cycling product line up. It's all bikes and accessories on the ground floor and it's clothing, saddles and BG Fit facility upstairs. I was trying to think of things to buy, even if I didn't actually need them. However, whilst upstairs I thought I'd take a closer look at their padded shorts. I've been reluctant to buy any as I'm bigger than most shops sell, and with a lack of cycling clothing shops near me, I didn't want to be buying mail order and sending them back if they didn't fit. I tried on a few different ones including some undershorts from Endura. I didn't like the feel of the Lycra shorts if I was to wear them under normal shorts and the Specialized ones were too big in the legs! The Endura ones felt OK even if they do feel like you're wearing a nappy. I'm the most indecisive person in the world, so even after trying them on it took me another half an hour to decide to purchase them. I'd recommend a visit to one of these stores, even if you don't own a specialized as it has pretty much everything under the sun.